Here I go again, painting old items to make them "new" (and fabulous). One of my favorite DIY projects in our condo is the coffee table that I painted. Eric and I had an old brown wood coffee table that we were going to toss but last minute I decided to see if I could paint it to our liking. Luckily, I was able to to paint it to our loving! All I did here was paint the legs and base black and then made black and white stripes for the top. To make the stripes even I used thick painting tape (my favorite). For anyone who has old furniture laying around that they want to toss, hold that thought and try painting it first. As always, I used acrylic paint so it dried quickly and didn't cost much. One piece of advice I have is to make sure the paint is totally dry before you put the painters tape on, otherwise when you rip the tape off you might get some paint with it too! We all know eating your greens is right up there in importance next to sleep and exercise. 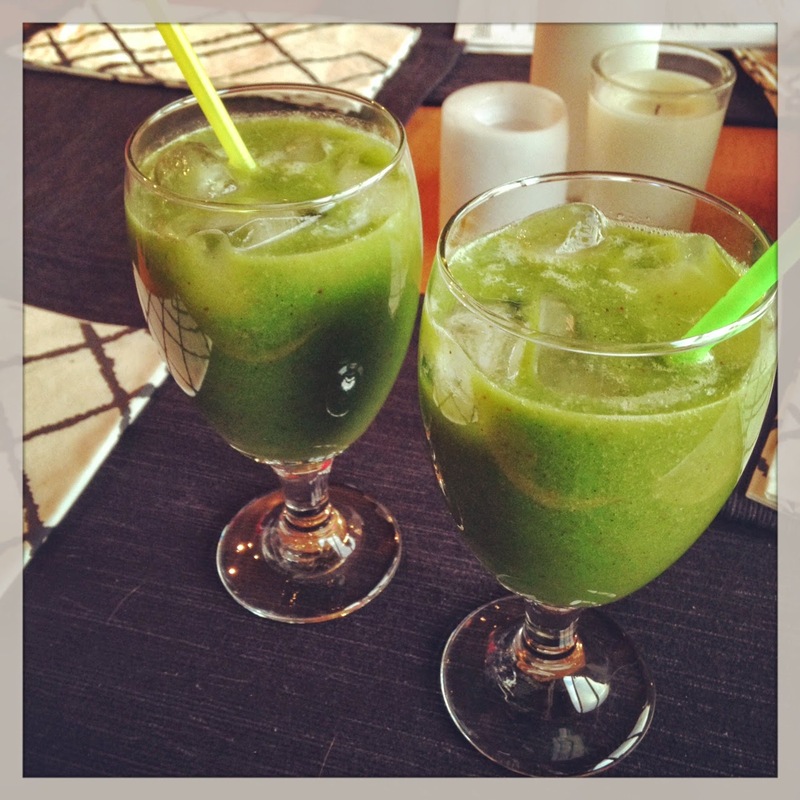 Start your day off right with this truly delicious green juice. The spinach can be replaced with Kale if you prefer kale over spinach. The best way to transition into spring is with a closet refresh. Even though temps don't warrant pulling out last year's springtime favorites, you can still brighten up your look with printed pieces. Prints are everywhere for spring, coming in all different forms; floral, geometric, and mirrored prints just to name a few. I've found a handful amazing wear now pieces in prints I just can't resist! Act fast because a few of the pieces are already marked down (even more of a reason to buy) and won't last long. 7 For All Mankind Printed Skinny A bit of a splurge, but totally worth it. Forever 21 Watercolor drop waist dress Only $24.80! Lulus Printed Shift Dress only $43!